Around 480km north of Brisbane, sitting on the tip of a peninsula, lies the only place in the world to have a number for its name. 1770, so called to commemorate the year Captain James Cook first set foot on Queensland, is a tiny town with a population of just 76. The scenery here is stunning, and at the very edge of the coast you can see water on three sides of you. The marina has day and overnight trips to Lady Musgrave Island and the Great Barrier Reef. Agnes Water, with its amenities, beaches, and gargantuan population in comparison (it’s still less than 3,000), lies just a few kilometres south. Butterfly Walk. Starting at the Captain Cook monument, this 1.2km (one way, not a loop) walk provides some stunning views of the sea through the trees, and showcases many of the region’s native plants. Lots of these plants attract colourful butterflies of all sizes, hence the name. Ignore the sign you see during the walk that says you’re only halfway – I promise you you are close to the end! There are a few steps and a bit of up and down, but it’s not strenuous. This island is absolutely idyllic. Situated inside a lagoon about 90 minutes off the coast, the sea wall keeps this part of the Great Barrier Reef, and the animals that live in it, well protected. It also means the water is warmer, shallower, and less subject to currents – perfect for snorkelling. There are a couple of different companies who offer these, but I would absolutely recommend Lady Musgrave Cruises, a family business that has been operating in the town for over 20 years. You don’t have to, but if you can go the day before to get your ticket etc. it is useful. You’re looking for this building, right at the beginning of Captain Cook drive. We paid $200 each which included the return boat trip to Lady Musgrave Island and lagoon, morning tea, lunch, afternoon tea, a glass bottom boat tour, a guided walk on the island, all snorkelling equipment and a wetsuit. Once you get to the lagoon they have a floating pontoon with changing rooms, tables and chairs, snorkelling platforms and an underwater observatory. The crew really knew their stuff, meaning they knew exactly where to take the boat and where to advise us to snorkel so that we could see a huge range of interesting animals, fish, and reef. We even got to swim with turtles which was incredible! The only thing that could have been better – and which was totally out of the company’s control – was the trip over. Even if you don’t normally get motion sickness I would take a tablet before you get on. They’re preventative, not a cure, so once you start feeling queasy it’s too late. We stayed in one of the best Airbnbs I have ever been to! Kathryn and Derek found a beautiful spot which has both mountain and sea views, and built an incredible home for themselves here. They also built a self contained private unit for guests and visitors. As hosts, they were extremely responsive and very helpful, and the place was clean and well equipped. However the real draw here is the calm and the view: we felt like we were hidden away from the busy world in a secret little spot, disturbed only by adorable wallabies on the way up the track. At night the stars were nothing short of breath taking – enjoy homemade dinner thanks to the well equipped kitchen, then come off the verandah and lay down on the grass for the best view. At $120 a night it felt like great value. For more details and to book for yourself, click here. Travel by car on the Bruce Highway. When you see the signs to turn off for 1770/Agnes Water, you will have around 60kms to travel before you arrive. If you don’t have access to a car, catch the Greyhound Bus. 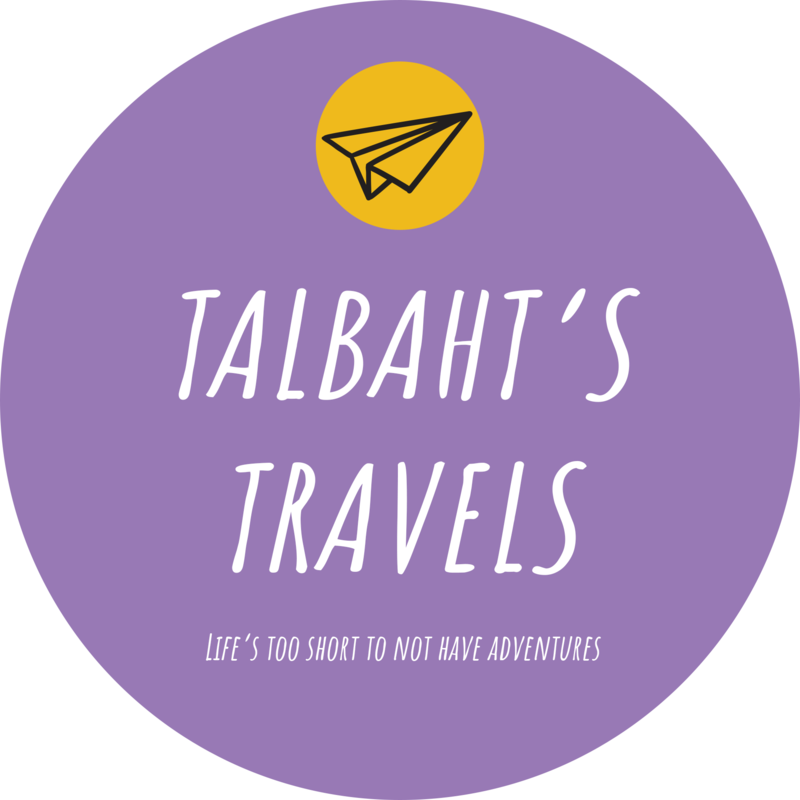 If you have any questions, want help planning a trip to 1770, or have an idea for a guest blog please email contact@talbahtstravels.com.